This Is Us is a US drama show that recently starting showing here in Australia in mid-February 2017 on Channel Ten but I actually started watching it on Netflix a few months ago, and I can tell you that I am completely in love – and obsessed with it! It’s a show that shows a bittersweet look at the complicated but yet loving relationships between a group of siblings who all share the same birthdays, with scenes going back to their youth in the 80’s and then coming back into present day, giving a deeper and understanding look into their character and their life journey.
? The actors: The acting by Milo Ventimiglia (Jack), Mandy Moore (Rebecca) (who was also a 90’s/00’s pop star), Chrissy Metz (Kate), Justin Hartley (Kevin), and Sterling K. Brown (Randall) are the main cast. Each actor plays their part to absolute perfection, portraying the emotions, the intelligence, the humility in their characters to its very finest. They convince you completely.
? Diversity: You know finding diversity on television is not as common as you would think so in this day and age. Sure we have it in movies but not so much on television TV. And the beauty of this show is that it covers varied ethnicities, gender, sexual orientation, colour but also body sizes and culture to make the storylines so much more relatable.
? They’re just like ‘Us’: Depending on the storyline of the episode that it’s focusing on, the characters will go through stages of stress & breakdown, happiness, sadness, mourning, reconciliation, suffering and even yearning, in such a very vivid and believable way that you just can’t help but see parts of yourself in these characters. The show delves into themes of humanity, aspects of what the character may be feeling whether its feeling ashamed or guilty about something or emotional about the loss of a loved one that somehow it affects you very own psyche and that you see yourself in that character.
? Personal life struggles: Throughout the show, you see how Kate struggles with her weight and body issues, and believes that no one is ever going to love her – which so many of us can relate to regardless of the body size you are but we never let anyone know our deepest secret. Kevin wants to be seen as more than just as a pretty boy and be taken seriously as an actor, but nobody believes he has the potential and people don’t want him to step out of his comfort zone and even try, so they convince him of that. Randall who was abandoned as a new born still deals with the emotional pain of being abandoned even though he was immediately adopted by a loving family and still struggles with that pain as an adult. And Rebecca, as much as she is loves being a devoted wife and mother, she is torn between returning back to singing at jazz clubs and being a stay at home mother.
? Reminding ‘Us’ whats important: We all go through our own issues and while we all think we are right in what we think to be true at that point in time, some times even a television show can help you put things into perspective. This show reminds you of what is truly so important and that of course is family. We tend to get lost within our own work and lives and the ever increasing allure of social media doesn’t help matters either. We forget to make time for our loved ones and this show shows us just how grateful we all really should be. Gone are the days when we had good wholesome television shows (whether they were comedy or drama) that showed us those values and reminded us to stay grounded. 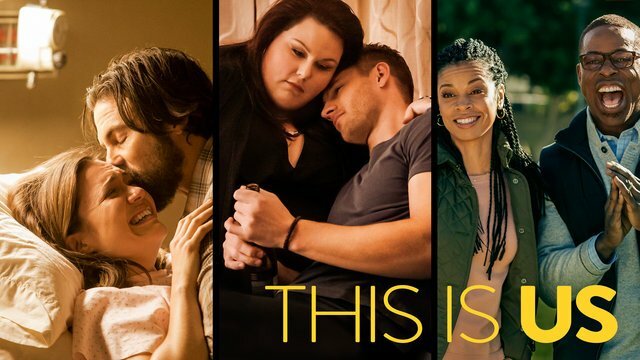 Do you or have you watched, ‘This Is Us’? What do you think of it? Or is there a show you are obsessed with? I would love to know in the comments below.